Crisálida: Community Arts Project | Crisalida BEGINS! 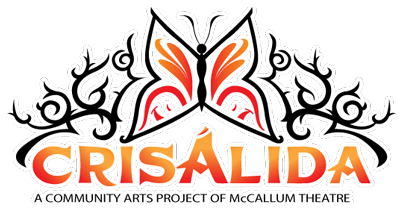 Happy to announce that the McCallum Theatre’s CRISALIDA COMMUNITY ARTS PROJECT has started as of 9AM today! I arrived from NYC last night, picked up my Dollar Rent-A-Car, settled into my temp house (with a stop at Trader Joe’s) and am now ready to start our project in earnest. First on my agenda is to come meet the people of this gorgeous valley. If you are part of an arts and/or community services organization please feel free to send me an email at david@crisalida-arts.org so that we can begin a dialog. Please tell me good times that work for an introduction to your projects, facilities and programs. I look forward to learning as much as possible about the good works that are happening. AND…please invite me to openings, performances, workshops, classes, salons, artist hangs, studio visits, rehearsals, recitals, jam sessions, community meetings (schools, churches, basements), whatever…I am eager to meet you, to learn from you, and to brainstorm how this project can be of benefit to the communities of Indio, Coachella, Thermal and Mecca. Just confirmed: I will be meeting with the S.C.R.A.P.E. GALLERY, COACHELLA ARTS ALLIANCE, RAICES, and the INDIO PERFORMING ARTS CENTER in the coming days. This blog will be one of the platforms for information on the project — please feel free to link to it, to share your comments and to contribute ideas and information. Congrats! Great opportunity for enjoying beings who speak the words of art!